Having a Windows 10 restore point is important if you need to recover your PC. Here is how to make sure you have a fresh one each time you start up the PC. Before making any big changes to your system like tweaking the Registry or swapping hardware, or updating system drivers or settings, it’s important to create a system restore point first. 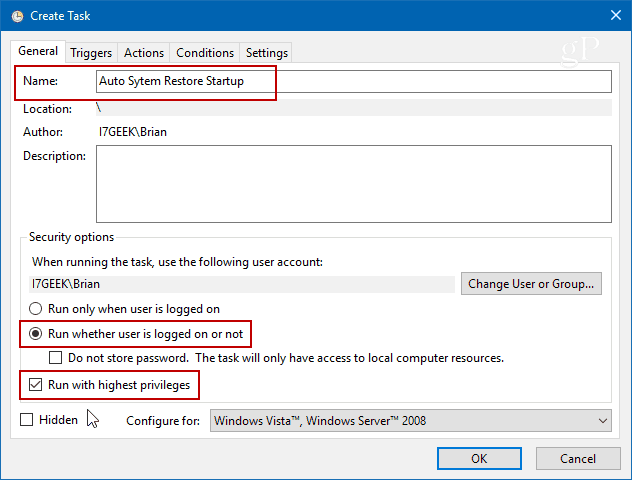 Here is how to make Windows automatically create a system restore point every time you start up your PC. 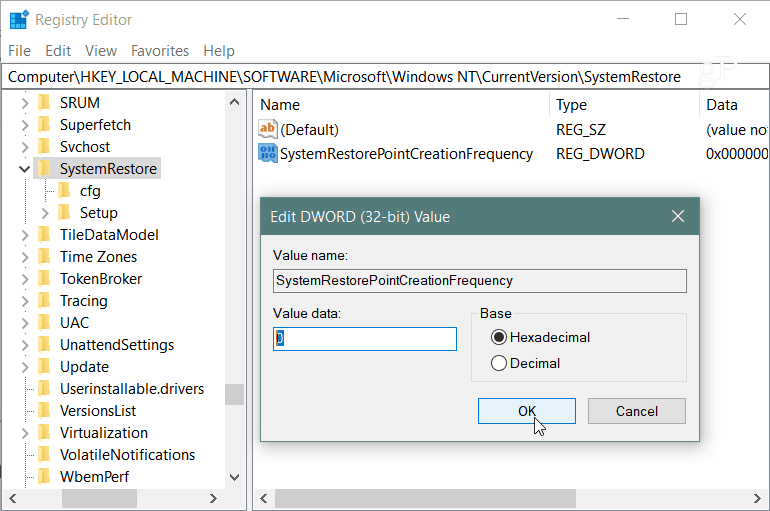 Now, it’s worth noting that Windows 10 automatically creates a restore point for you before a significant event like installing a new driver or before a feature Windows update. And you can certainly create your own restore point any time you want. But if you want to make sure you’re staying on top of things, this will create a new one without having to think about it. This will help make sure you have the freshest restore point that you can go back to in case disaster strikes and you need to recover your system. Note: Before starting, I should note that this is an involved process and not for novice users. You will need to hack the Registry and create a scheduled task with precise commands, triggers, and actions to set. For the casual user, you should be fine with just enabling the system restore option. But if you’re a power user or enthusiast, this is something you might want to do. The first thing you want to do is make sure the Restore Point feature is turned on. For whatever reason, Microsoft has decided to ship Windows 10 out with System Restore disabled by default. To make sure it’s on, hit the Windows key and type: system restore and hit enter. When the System properties window pops up, click the “Configure” button and check “Turn on system protection” and then click Apply. 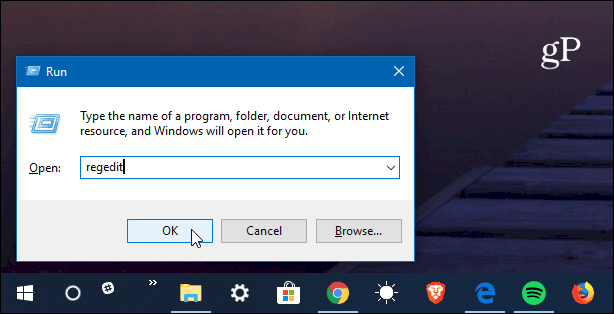 For full details on turning it on, check out our article on how to enable system restore on Windows 10. 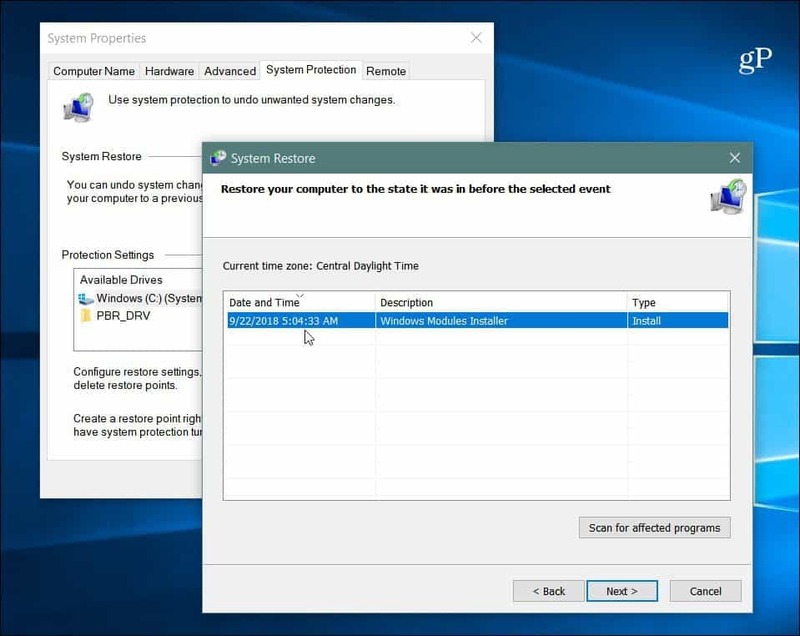 Next, you will need to disable the system restore frequency to allow Task Scheduler to create a restore point automatically each time you start up your PC. Note: Remember that tweaking the Registry can be risky if you don’t know what you’re doing. Even if you are an experienced user, make sure to create a full system backup before making any changes in the Registry. To open Registry Editor, hit the Windows Key + R and type: regedit and hit Enter or click OK.
Give it a value of 0. Click OK and close out of Registry Editor. 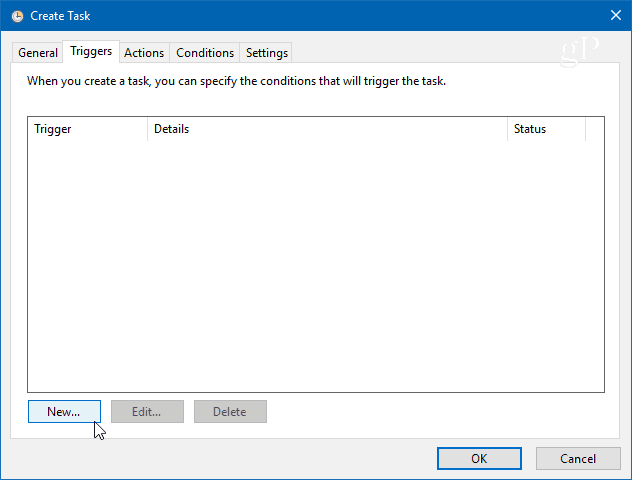 Next, you’ll need to create a new task in Task Scheduler. 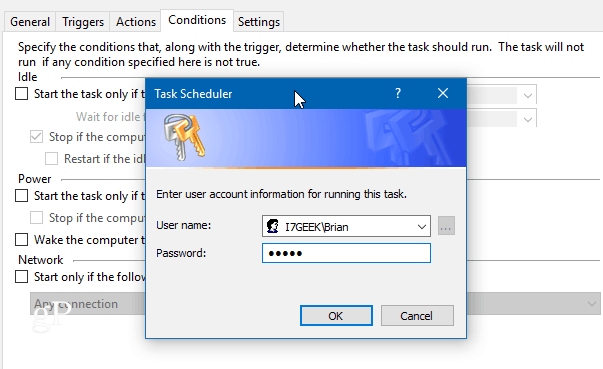 To open it, hit the Windows Key and type: task scheduler and select it from the results or just hit Enter. 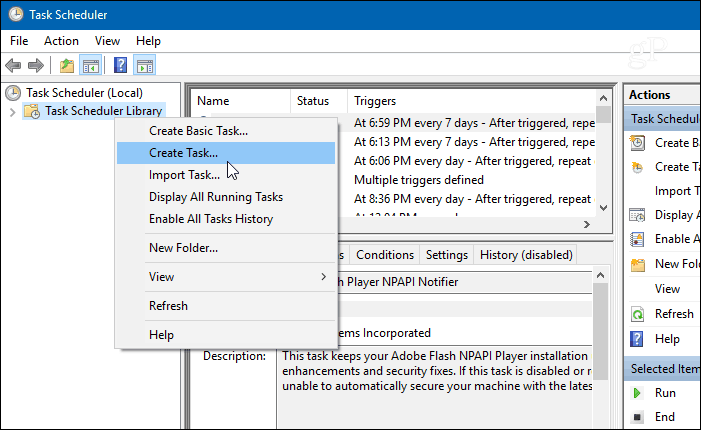 When it opens right-click Task Scheduler Library and select “Create Task” from the menu. Make sure the General tab is selected and in the “Name” field type in something that helps you identify the task. For example, I used Auto System Restore Startup. But you can use whatever works for you. Then under the “Security Options” section select Run whether user is logged on or not and check Run with highest privileges and click OK.
Then select the Triggers tab and click the New button. On the Edit Trigger screen, set the “Begin the task” drop-down menu to At startup from the list of options and click OK.
-ExecutionPolicy Bypass -Command "Checkpoint-Computer -Description \"My Restore Point Startup\" -RestorePointType \"MODIFY_SETTINGS\""
Now, under the Condition tab, under the Power section clear both boxes for AC and battery power. 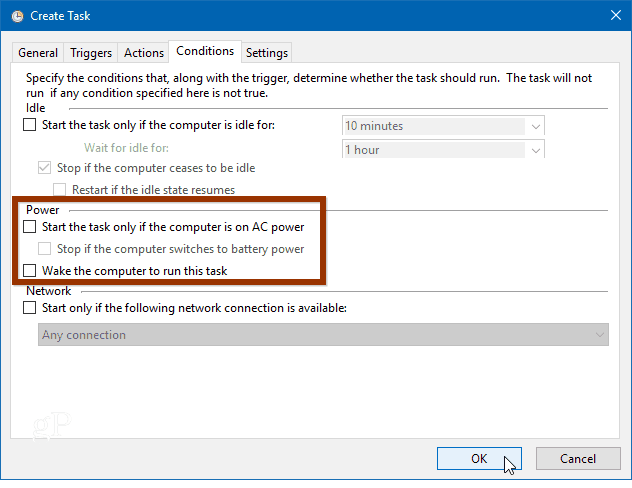 Note that you will need to uncheck “Stop if the computer switches to battery power” first. Then when you click OK, you will be prompted to enter your admin password. 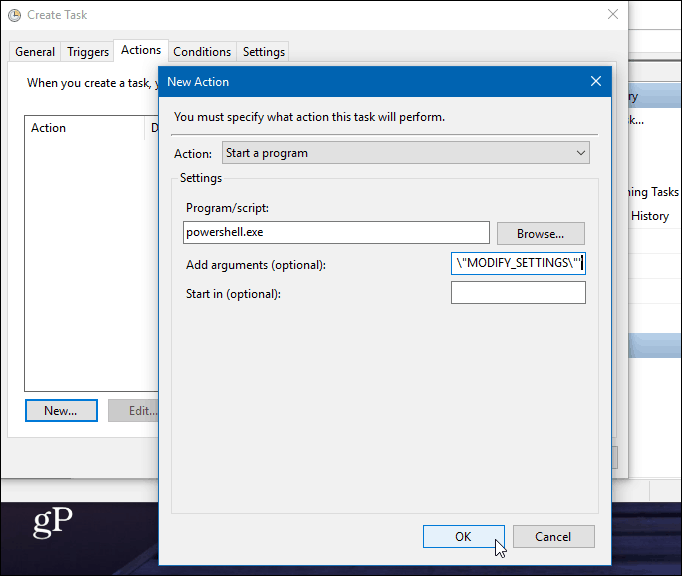 After you’ve completed all the steps you will see the new task appear in the Task Scheduler Library. And provided you did everything correctly; a new system restore point will be created automatically every time you start up your PC. To verify it worked, restart your PC and wait for 10 minutes while a restore point is created in the background. 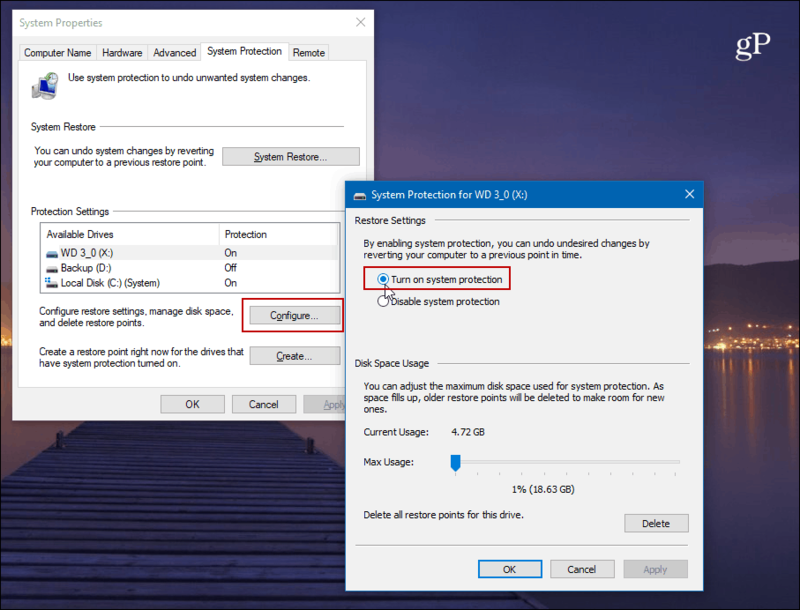 You can continue to work as you normally would, and then open System Restore and select the “Choose a different restore point” option and you will see the restore point was created at the time of startup. It’s also important to note that you can set Windows 10 to create a restore point before a Windows Defender scan. This also provides a redundant method in making sure you have current and up-to-date system restore points. 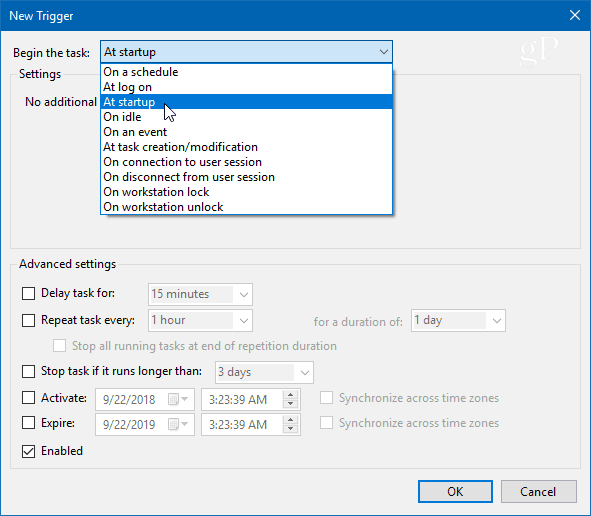 And, if you want to manually create a restore point when you think one is called for, check out our article on how to save time by creating a system restore desktop shortcut. That allows you to create one with a simple double-click. On my machine, “system restore” wants to search the Internet for that phrase. “Create [a] restore [point]” takes you there. I am not english speaking, and I wonder if this feature means that there will be a restore point at every restart of the computer OR only at power on? Please be distinct and answer this as soon as possible. Are system restore points just registry information. Or does it use up hard drive space? Can I delete restore points? all restore points before the update. is installed on, and this would automatically create a restore point each day. your best line of defense!